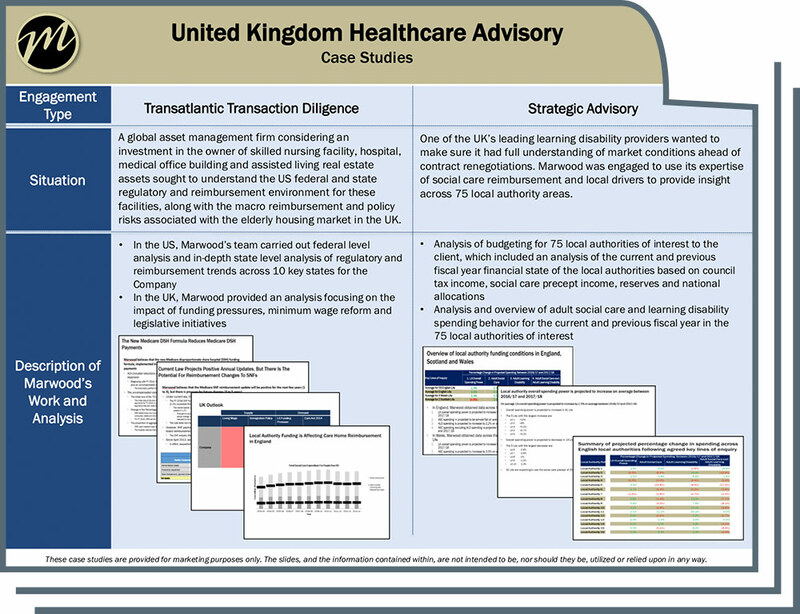 We provide investors and operators in the UK and EU with policy, regulatory and reimbursement analysis. We work with our clients to assess the risk and opportunities that result from government action on the national or local level. In addition, we are able to provide seamless, bespoke analysis on transactions that span multiple countries. Our United Kingdom and European Union Advisory team is comprised of veterans of the Department of Health, NHS England, Care Quality Commission, Local Authorities and the European Parliament. In addition, we provide support on transatlantic transactions through dedicated US and UK/EU team members.